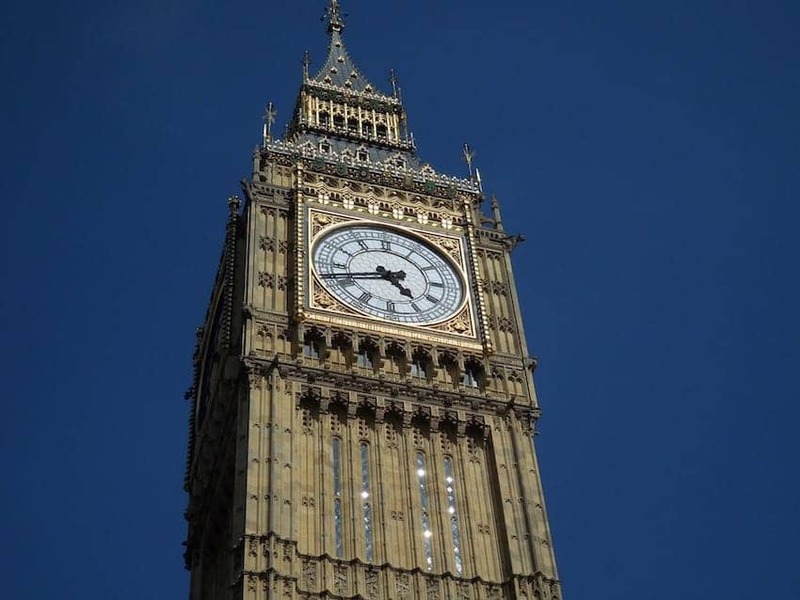 Big Ben is the nickname of the largest bell in the iconic clock tower of the Palace of Westminster which strikes on the hour and in famously reliable time. The tower was renamed Elizabeth Tower to honour the Queen's Diamond Jubilee. The tower is 96 metres high and designed by Augustus Pugin in Gothic Revival style. It leans slightly due to changes in ground conditions since construction in 1858.